The Week Ahead Looks Dry, Cooler and Breezy with a Slight Chance of Thunderstorms by Weeks End….High Temps to cool to near Normal late this Week….. Here is an outlook for the next two weeks….. The Positive height anomaly in the Gulf of AK is forecasted to very slowly retrograde westward toward 160west over the next 2 weeks. Through the process, Upper troughing seems to have found a new home and so the clash of the air-masses between the west coast trof and the heat over the Great Basin will dominate our local weather for sometime to come. This is a typical spring pattern of dryness and often times breezy weather for Mammoth Lakes with little hope of precipitation other then a few isolated convective thunderstorms on rare occasions. There will be Lake Wind Advisories from time to time so if your boat fishing on area lakes, be sure to check with the latest forecast for Afternoon winds before going out each morning….The pattern appears to be supported by the MJO in Phase Space 2 for May/June. So be ready for a persistent breezy pattern that will be with us more often than not for the next week or two………. In time….Heights will rise and temps recover back into the 70s…but not until closer to mid June. Here is your temperature forecast for the Town of Mammoth this week………. Our warm up peaked Sunday with a high temperatures of 75 degrees in the Town of Mammoth……Both Monday and Tuesday will be about 74. The upper ridge weakens and will eventually give way to troughing along the West Coast by mid-week. This time of the year, troughing usually brings normal to below normal temperatures….with notably breezy weather. Occasionally, an upper trof will reload with a stronger short wave that will cut off a low in the bottom of the long wave trof. Whether that happens or not it will not be until the end of this week. A cut off low if far enough south can give us a thunderstorm pattern over the sierra. So far the models keep this feature too far to the north next weekend….So only a slight chance is warranted. In the meantime, high temps will remain in the mid 70s through Tuesday, then a slow cool down will take place through the end of the week. High temperatures will cool nearly 15 degrees to near 60 by next Sunday. It will be a breezy week in Mammoth. SW winds will blow most afternoons with stronger breezes that will blow through the night and stronger winds yet on Wednesday approaching 40 to 45 MPH in town and gusts to 65 over the crest. This is all part of a pattern that is being influenced by the developing El Nino that will keep our weather quite breezy at times going into the Summer. Showers and Isolated Thunderstorms Ending Today with a Mostly Sunny Weekend….Warmer temps Ahead….Be sure to look toward the North Star about Midnight Friday Night!! The storm system that brought the Showers yesterday has now moved into AZ. Expect a mostly sunny day today with some afternoon clouds and a slight chance of a shower. (See below for comments from Spaceweather.com for tonight’s meteor shower…. The cut off low over Southern California has continued to circulate moisture counter-clockwise over Southern Mono County. This has resulted in everything from light rain/snow mix to a few TSRWS over the Sierra Thursday. 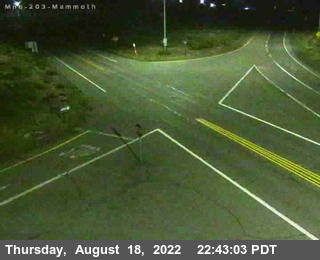 The upper flow here in Mammoth has been from the NE and is likely to continue through the night tonight. By Friday the upper low will be into AZ and sunny skies will return with warmer temps. Highs temps in mid to upper 60s are expected Friday. Winds will be light. Saturday will be partly cloudy but warm with highs near 70. Sunday and Monday will be warmer yet with highs in the mid 70s. Lows at night in the 30s and 40s. There may be some diurnal convection with a few isolated showers or TSRWS over the higher terrain Sat and Sun, but do not expect much if any rain. The outlook shows breezy weather developing for Monday and Tuesday as the ridge axis shifts east due to a passing short wave to our north. The next period of springtime Thunder may be as early as next weekend as another springtime upper trof digs down the west coast Thursday night, then inland later Friday into Saturday. This will breeze us up 1st then cool us down with the chance of showers. I’ll have more later on this system later…………………. According to the CPC, the leading edge of the next Kelvin Wave has just reached the Western Pacific while a 3rd Kelvin Wave has just moved over the Western Indian Ocean. Comment from the Dweebs…..For a full basin El Nino to really get established, Ocean SSTA off Australia has to cool to below normal substantially to give this system legs…. Late Tonight, Earth will pass through a stream of debris from Comet 209P/LINEAR. If forecasters are correct, the encounter could produce an outburst of bright meteors numbering more than 200 per hour. The shower’s radiant is in the constellation Camelopardalis, the Giraffe, not far from the North Star. Peak rates are expected on Saturday, May 24th, between the hours of 0600 UT and 0800 UT (11:00pm Friday to 1:00a.m Saturday PDT). 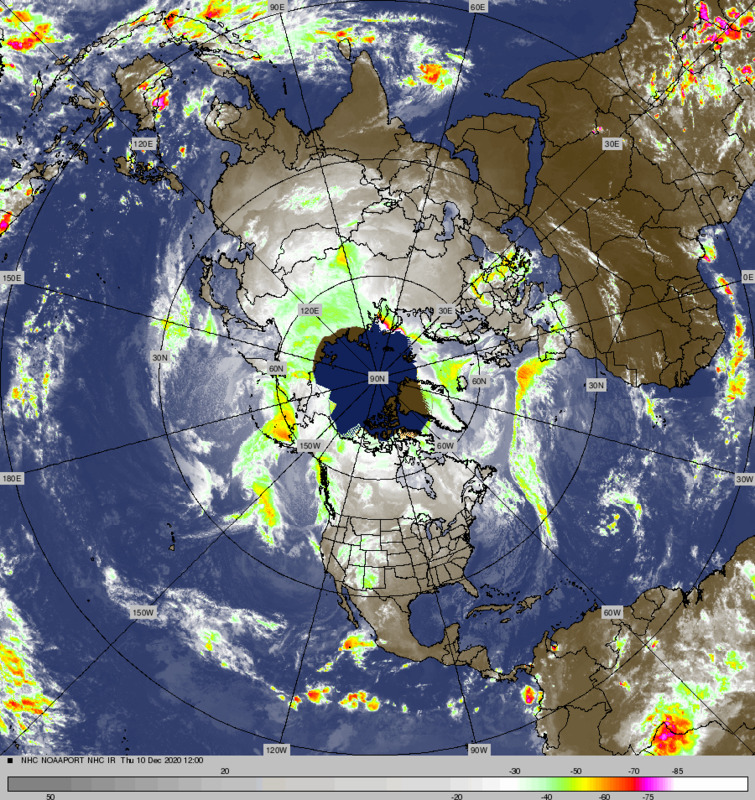 The timing and location of the radiant favors observers in North America. There is much uncertainty about the strength of this shower, both on Earth and on the Moon. As far as we know, our planet has never passed directly through a debris stream from Comet 209P/LINEAR, so no one knows exactly how much comet dust lies ahead. A magnificent meteor shower could erupt, with streaks of light in terrestrial skies and sparkling explosions on the Moon–or it could be a complete dud.